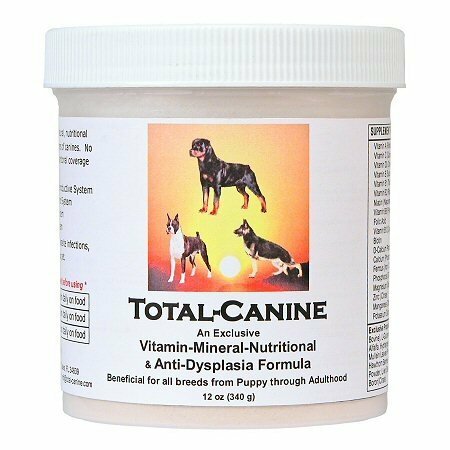 TOTAL-SUPPORT-CANINE is designed to add years of quality life to all breeds of dogs. New & Improved Formula. Exclusive, all natural, nutritional support formula. Beneficial for all breeds. Contains Olive Leaf Extract to aid with reducing stress during travel, shows, training, boarding, breeding, etc. Liver added for improved flavor. New & Improved Formula. Exclusive, all natural, nutritional support formula. Beneficial for all breeds. Contains Olive Leaf Extract to aid with reducing stress during travel, shows, training, boarding, breeding, etc. Liver added for improved flavor. TOTAL-SUPPORT-CANINE is designed to add years of quality life to all breeds of dogs. 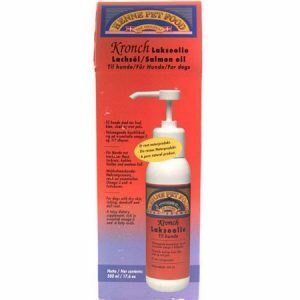 Every aspect of biological and physiological functioning of your dog has been addressed in this special formulation. Your dog needs strong bones and muscles, a healthy heart and circulatory system, a sound, digestive system full of digestive enzymes and cleansers, a lymphatic system that purges itself when toxins build up, a balanced hormone and reproductive system, a strong immune system to fight off germs and diseases of all kinds and a respiratory system that brings the Life Force in and keeps it there. 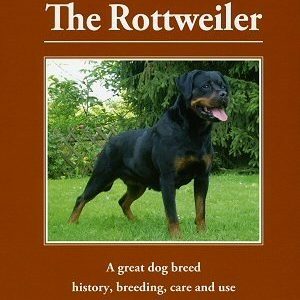 Since 1979 we have been breeding, showing, training, and loving some of the finest Rottweilers in the world, Evman Enterprises and a select group of scientists, trainers, handlers, breeders and veterinarians from around the world, proudly present TOTAL-SUPPORT-CANINE for your dog. 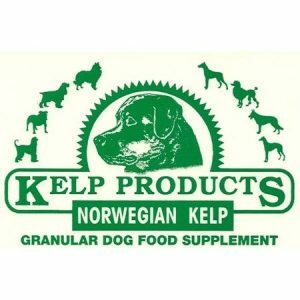 TOTAL-SUPPORT-CANINE is beneficial for all breeds of dogs…from Puppy through Adulthood. Also helps prevent worms and parasite infections, as well as restoring youth and energy back to your pet. Exclusive Proprietary Blend: Glucosamine (Sulfate Potassium), Chondrotin (Sulfate Bovine), L-Glutamine, Inositol, Dog Grass, L-Throsine, Juniper Berry, Olive Leaf Extract, Alfalfa, Hydrangea Root Powder, Dandelion Root Powder, Wormwood Herb Powder, Mullein Leaves Powder, White Willow Bark, Black Walnut Hull Powder, Rose Hips, Kelp, Hawthorn Berries Powder, Horsetail Powder, Red Clover Powder, Uva-Ursi Leaf, Pea Powder, Liver (Bovine Hormone Free), M.S.M, Copper Sulfate, Copper (Citrate) and Boron(Citrate). Vitamin C (Calcium Ascorbate, Ascorbyl Palmitate, Ascorbic Acid): Vitamin C, a water-soluble vitamin, is essential in maintaining the health of every cell in the body. It is an antioxidant that destroys free-radicals, aids in tissue healing, detoxifies and may even help to slow the aging process. Vitamin C is necessary for the formation and maintenance of collagen in the connective tissues of joints. Vitamin D3 (Cholecalciferol): Vitamin D plays a major role in regulating the calcium and phosphorous levels within the bloodstream. It stimulates the kidney conservation of calcium and therefore helps the body to retain it. Because of its interplay with calcium, Vitamin D is extremely important in bone formation and nerve and muscle control. Vitamin E (Succinate): Vitamin E plays a role in the formation of cell membranes, cell respiration, and in the metabolism of fats. It is an antioxidant and protects various hormones from oxidation. Vitamin B1 (Thiamin HCI): Vitamin B1 is required for the normal function of muscles and nerves because it converts glucose to energy. Vitamin B2 (Riboflavin): Vitamin B2 is essential to normal growth, muscle development, and hair coat. Niacin (Niacinamide): Niacin, is a B vitamin, plays a role mainly in helping enzymes to function properly. Vitamin B6 (Pyrodoxine): Vitamin B6 is used by the body in the utilization of amino acids. It is absolutely essential for life. Folic Acid & Vitamin B12 (Cyanocobalamin): Folic acid and vitamin B12 are two closely related B complex vitamins. They are necessary for the bone marrow to produce red blood cells. Biotin: Biotin is a B vitamins, essential in maintaining healthy skin and hair, It is also necessary for growth, digestion, and muscle function. D-CaIcium Pantothenate: Panothenic acid, a B vitamin, enables the body to create usable energy from carbohydrates, fats, and proteins. Calcium (Phosphate / Calcium Carbonate): Calcium is essential in the body for many functions including bone formation, blood coagulation, muscle contraction, and nerve impulse transmission. Ferrous (Iron / Clycinate Chelate): Iron combines with Copper (Cu) and protein to form hemoglobin, the molecule in red blood cells that carries oxygen. Iron also is necessary for certain enzymes in the body to function normally. Phosphorus (Di-Calcium Phosphate): Phosphorus is an important structural component of bone. It is also essential in a large number of bodily functions and is involved in almost all the body’s metabolic processes. Magnesium (Oxide): Magnesium is necessary for the absorption and proper use of certain vitamins and minerals including Vitamin C, Vitamin E, calcium and phosphorus, sodium, and potassium. It is necessary for proper bone growth and for the functioning of many enzymes in the body, and production of protein. Zinc (Citrate): Zinc is important in the production of proteins and a functional immune system. Some enzyme systems are also dependent upon zinc including enzymes which protect cells from damage caused by oxidation. Manganese (Citrate): Manganese is essential for the proper use of protein and carbohydrate by the body, reproduction, and the action of many enzymes in the body responsible for the production of energy and making fatty acids. Potassium Gluconate: One of the building blocks the body uses to make new cartilage. Chondroitin * (Sulfate Potassium): Decreases the activity of enzymes which break down cartilage in a joint. 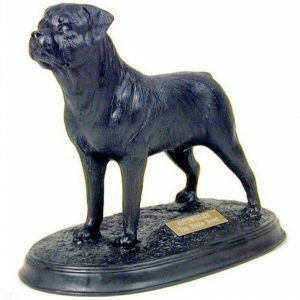 * Glucosamine and Chondroitin promote healthy cartilage in joints and are used for the treatment of arthritis, including hip dysplasia, in dogs. L-Glutamine: L-glutamine is a protein amino acid found in proteins of all life forms. It helps with a number of the causes of diarrhea. Inositol: Inositol is a sugar alcohol with vitamin characteristics. It metabolised into phosphatidylinositol, which is a structural part of cell membranes and participates in cell signalling. Dog Grass: It acts as an internal cleanser, expelling excess mucus, bile, and other impurities. It also cleanses the bowels and expels worms.